Have you ever wonder why there are many people writing or uploading their reviews videos? There are no sponsors for these reviewers (some of the did if they are famous enough) and definitely they will not do it for free. Some of the reviewers make a living by just doing product reviews in YouTube. How do they earn? As you can see under “Make Money with Us” there is a section listed as “Become an Affiliate”. If you are a affiliate member of Amazon.com, you can basically promote their website with a unique link and get pay if someone else purchase in Amazon.com through the hyperlink that posted by you. As you can you see, this video author make its review for UE MEGABOOM bluetooth speaker and have it’s affiliate link to Amazon website. If someone else clicked and purchase anything in Amazon website, this reviewer is able to earn it’s commission by Amazon. The above illustration has explained all. Is just that simple only. 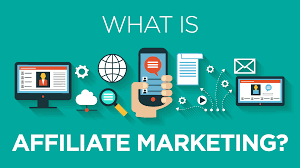 Affiliate marketing was started in the bloggers era. There are tons of bloggers writing blogs with embedded with tons of advertising links in it. We call them as publishers, the technologies changes so does the internet, when social media and online video streaming become a trend, the publishers turn into influencers by producing content in Youtube or other sites and social media like Facebook & Instagram. It’s very interesting to observe the changes of the trends in content produce and consuming in the internet, and currently we can see there live streaming is about to transform to the main stream internet content producer. As a advertise/merchant, how does this help you? Affiliate marketing is the most cost effect marketing where you only pay when someone purchase. Which means that you are definitely confident that each money you paid its going to worth something. Besides you gain free traffics for your site! If you have a website and need affiliate marketing to drive your sales, do let us know, we can help you.